Great experience, fun, and exciting tour! At 1,332 steps (or 501 calories!) 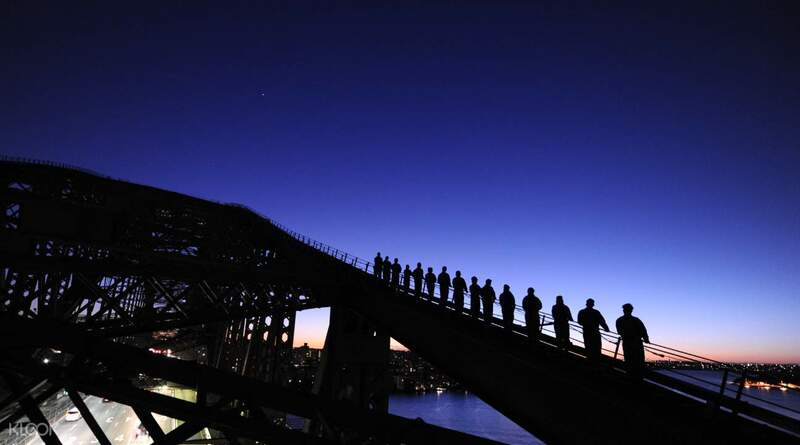 the Sydney Harbour Bridge Climb will definitely be a memorable work out. Starting from the Climb Base below the Bradfield Highway, you will head towards the south-east pylon via the catwalks. With the buzz of the traffic below, you will begin ascending four ladders to the start of the upper arch. From there you continue up via the outer arch of the bridge until you reach the summit. 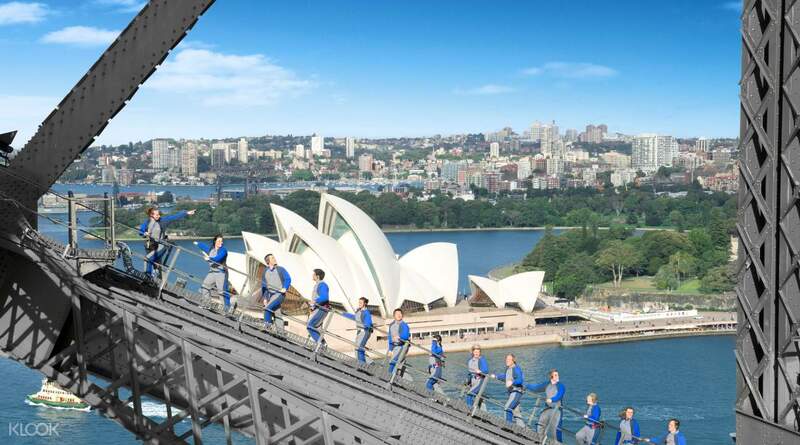 Whether you want to maximize your time on the bridge or you are a little nervous of the height, this 3.5 hour tour will give you ample time to acclimatize and to soak in the panoramic views of the Opera House, Circular Quay and greater Sydney from the original Climb experience. 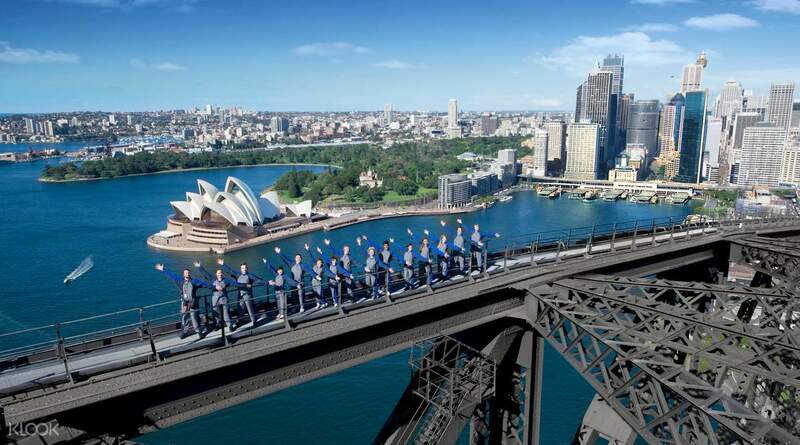 Once your group and you have celebrated your climb, you’ll cross over to the Darling Harbour side through the spine of the bridge and slowly descend back to the Climb Base. Choose from 4 different times of the day to climb, including dawn! 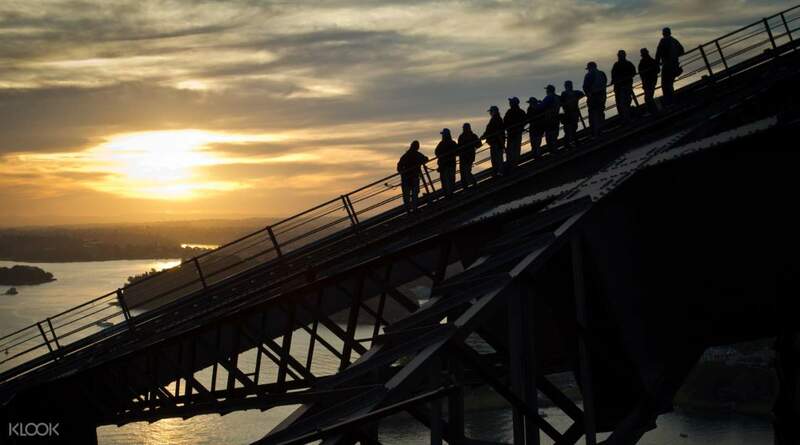 Though it is really expensive to climb the bridge, it is something you must try once in a lifetime. The scenery is stunning and fantastic. 3.5 hours preparation and walk in total with the guidance and safety measures from the team. Though it is really expensive to climb the bridge, it is something you must try once in a lifetime. The scenery is stunning and fantastic. 3.5 hours preparation and walk in total with the guidance and safety measures from the team. Greats experience! The climb is not challenge at all, is simple as you walk up to 10 floors stair cases. The safety is perfect and tour guide is well explain the Sydney. No phone or camera is allowed to bring up during the climb. You will entitle 1 free group photo and 1 free video shoot (10s). Must try in Sydney! Greats experience! The climb is not challenge at all, is simple as you walk up to 10 floors stair cases. The safety is perfect and tour guide is well explain the Sydney. No phone or camera is allowed to bring up during the climb. You will entitle 1 free group photo and 1 free video shoot (10s). Must try in Sydney! We did the twilight climb which took 3 hrs approximately to complete. The climb was on a comfortable pace, all safety precautions taken, and the view at the top of the bridge was just spectacular! Jasmine our tour leader was friendly, patient and knowledgeable. Each receive a climb certificate and a group photo to take home at the end of the climb. We did the twilight climb which took 3 hrs approximately to complete. The climb was on a comfortable pace, all safety precautions taken, and the view at the top of the bridge was just spectacular! Jasmine our tour leader was friendly, patient and knowledgeable. Each receive a climb certificate and a group photo to take home at the end of the climb. 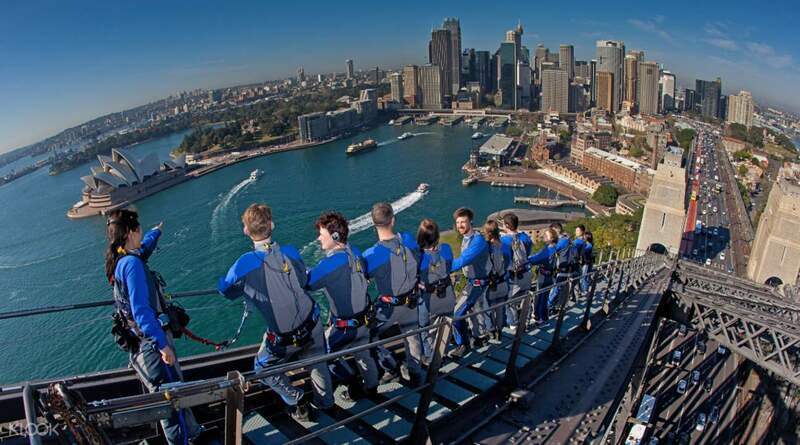 A great experience you can’t miss in Sydney! We picked the 3.5 hours morning section & worries at the beginning whether this was a right choice for a first climber. However, I felt no regrets after we climbed up to the bridge & looked down to the beautiful harbour! A great experience you can’t miss in Sydney! We picked the 3.5 hours morning section & worries at the beginning whether this was a right choice for a first climber. However, I felt no regrets after we climbed up to the bridge & looked down to the beautiful harbour! A special experience in Sydney. You can have a very good view of Sydney especially when it is Vivid Sydney. Booking with Klook is much more cheaper than other places. It really worth the price. A special experience in Sydney. You can have a very good view of Sydney especially when it is Vivid Sydney. Booking with Klook is much more cheaper than other places. It really worth the price. The first bit is the worst..... but once you’re climbing the arch it’s amazing up there. You receive training, all the proper gear. A talk all before. Our Guide Pete was great, his knowledge is vast. From arriving to leaving we spent 4 hours at the climb. The views are fantastic. A great memory. The first bit is the worst..... but once you’re climbing the arch it’s amazing up there. You receive training, all the proper gear. A talk all before. Our Guide Pete was great, his knowledge is vast. From arriving to leaving we spent 4 hours at the climb. The views are fantastic. A great memory.